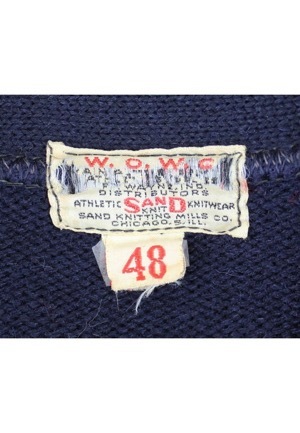 Attached to the rear collar is the Sand-Knit “W.O.W.C.” manufacturers and distributors tag with an attached flag tag reading the size “48”. All six buttons down the front are fully intact. 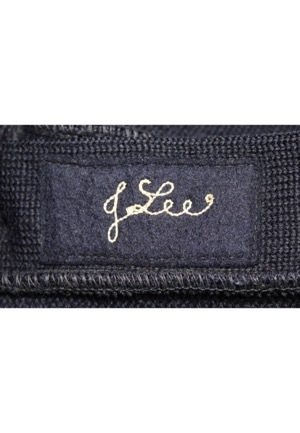 On the inner right button path is a navy blue strip tag reading “J Lee” embroidered in script style chain stitching. 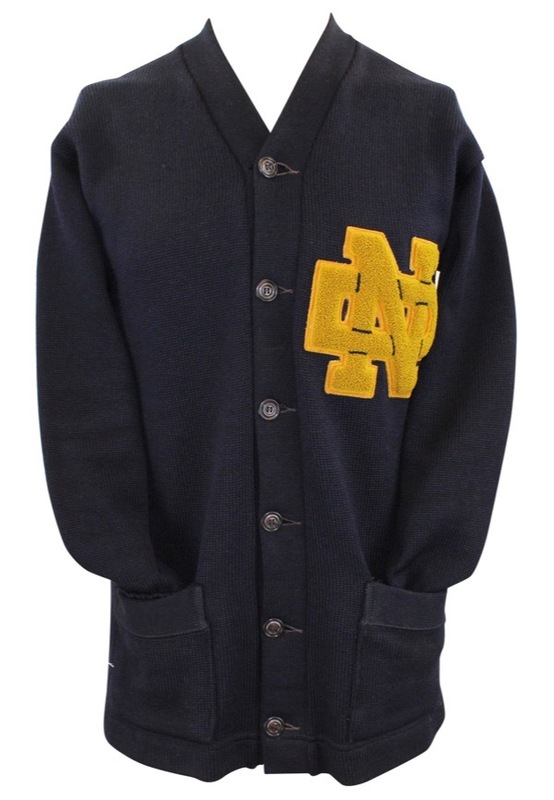 On the left chest is a large “ND” interlocking logo done in gold felt applique. This sweater is properly tagged, was presented to us as player-worn and shows wear.